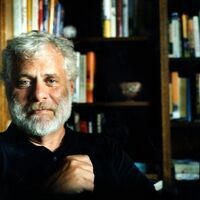 Mark Kurlansky is the author of over 20 books, including the New York Times bestsellers "Salt: A World History" and "Cod: A Biography of the Fish That Changed the World." His articles have appeared in a wide variety of newspapers and magazines, including The Chicago Tribune, The Los Angeles Times, Time Magazine, Food & Wine, Bon Appetit, and Parade. He has won many awards for his writing, including the James Beard Award for Writing on Food, the Glenfiddich Award, and the ALA Notable Book Award. His latest book is "Milk! A 10,000-Year Food Fracas." "Butter eater" was once a terrible insult.